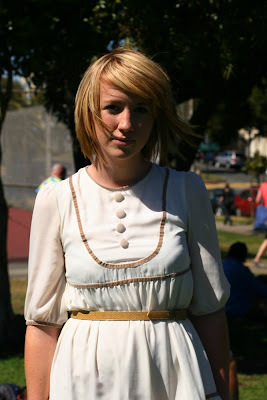 "This particular outfit is Erin Fetherstone and I kind of like dressing like a doll." Dolls never accessorize as well, nor do they have as cute of haircuts. A look at her golden ballet flats in the grass.